AEIOU Foundation is passionate about supporting families and creating bright futures for young children with autism. Your focus is our focus. We specialise in teaching children functional communication and behaviour, social and independent living skills, including toilet training and mealtime support. Each child receives individual strategies focusing on goals which best support them to achieve long-term outcomes. We also help transition children to their next educational setting. 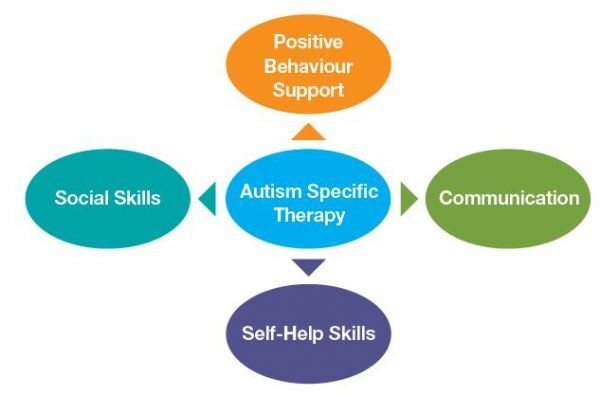 It’s our priority to support your whole family unit, so parents and carers at AEIOU receive regular support and training opportunities to achieve therapy goals in the home and community. The early intervention therapies we employ are speech pathology, occupational therapy and behaviour therapy. Our curriculum is informed and guided by evidence, research and skilled professionals, including Board Certified Behaviour Analysts. This qualification is rare in Australia, as it is only available via international universities. Currently, senior analysts at AEIOU sponsor other staff members working toward this qualification. Each team member takes great pride in their work and are equally proud of the children they support. Watch AEIOU Logan Program Manager, Anna Brodie, talk about a special moment working at AEIOU.The children, families and staff at AEIOU work to achieve milestones and individual goals which can take weeks, months and years to realise. When they do, it's cause for celebration! AEIOU is an NDIS-approved service provider for autism-specific early intervention. We provide regular information sessions and you can access support and advice from our NDIS Support team.